Using plants, minerals and animal products, Chinese herbal medicine aims to treat the imbalances which cause symptoms and disease in the body. 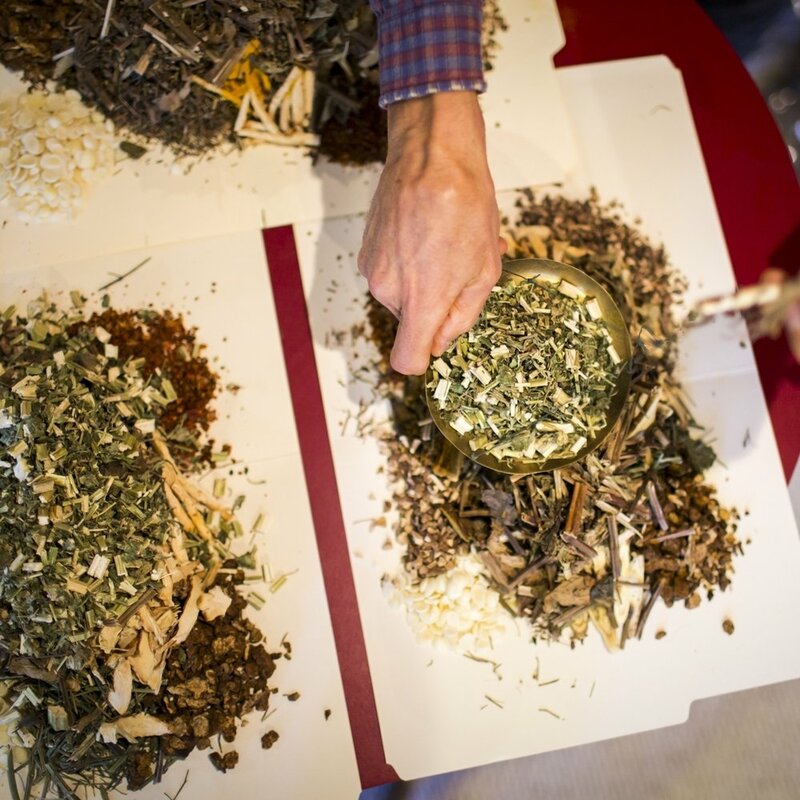 With a systematic approach, and a few thousand year history, Chinese herbal medicine is highly effective. Chiropractors use a combination of treatments, depending on the specific needs of the individual patient. As a way of giving back, Jade Wellness is proud to offer acupuncture and massage by donation on the first Friday of select months. The proceeds raised help out a local charity, organization or person in the community. Call the clinic to make an appointment or book online! We believe in the body's ability to heal. Our purpose at Jade Wellness is to help remove the obstacles that may be preventing optimal health from occuring. We are passionate about health and wellness for ourselves and those around us.